Here are a few pointers I gathered from the last visit. 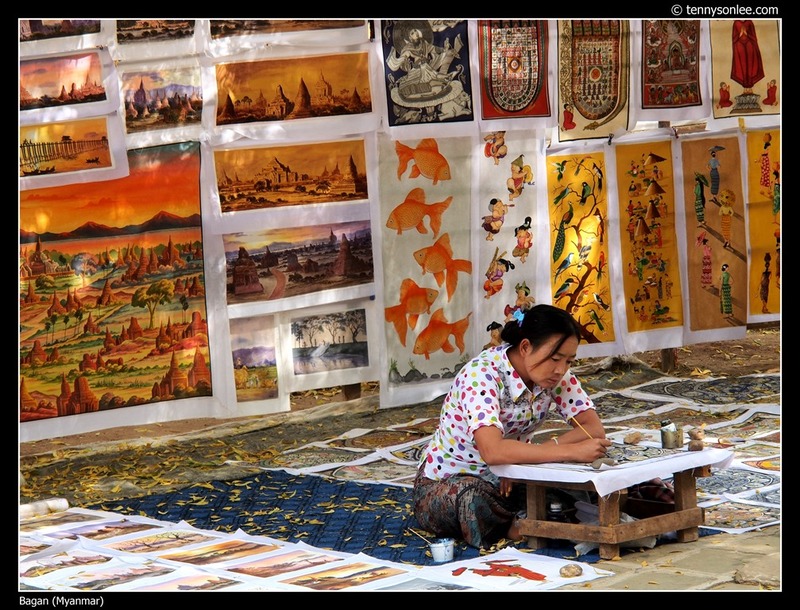 Hopefully it could help your first visit to Bagan more pleasurable. 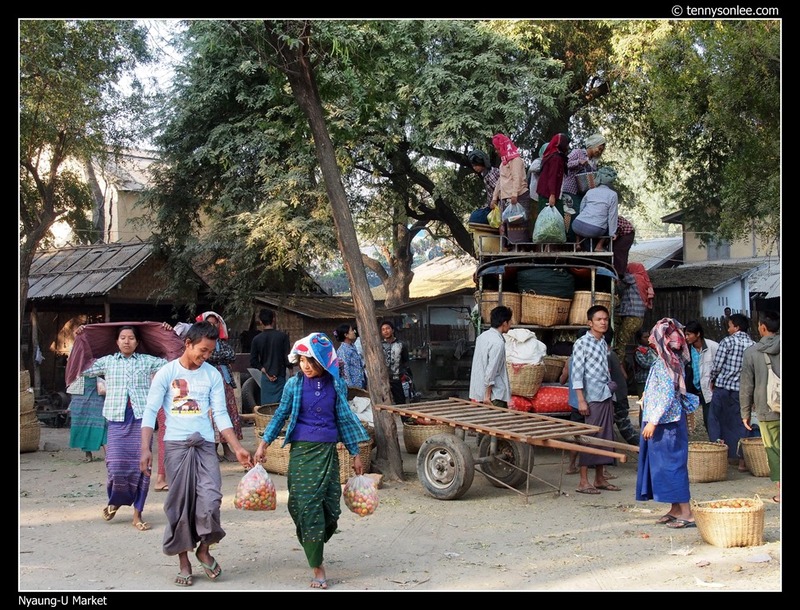 one could bare feet in Myanmar 70% to 80% of the time (including your sleeping hours). 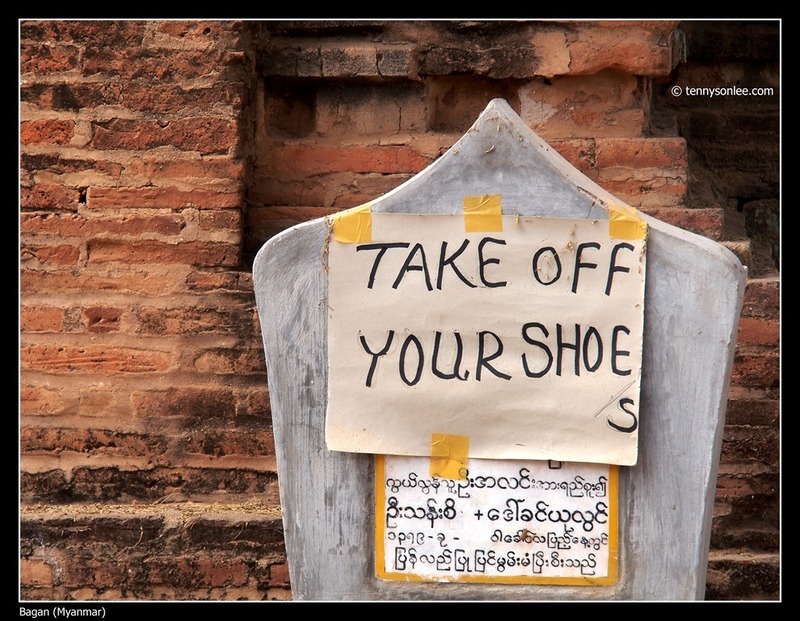 Every temple prohibits visitors entering with shoe or sock. 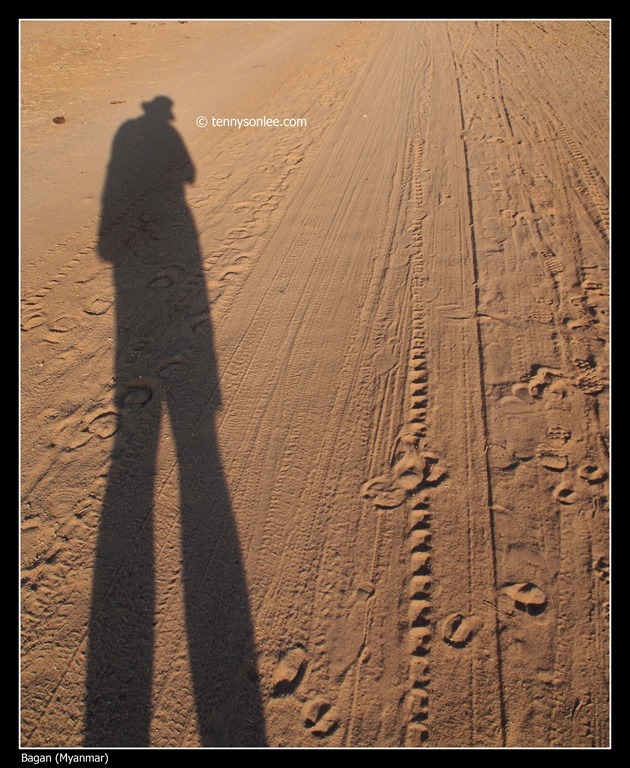 So it is more convenient to wear comfortable sport slipper or trekking footwear like Keen. If you are visiting larger temple where you may enter and exit via difference entrances, then it could be practical to bring a recycle bag to keep your shoe in your bag (or hand carry). Some temples still enforce that you could not bring your shoes in plastic bag. In more popular site like Shwedagon Pagoda, many street kids will pass you the transparent plastic bag and demand tips from you. 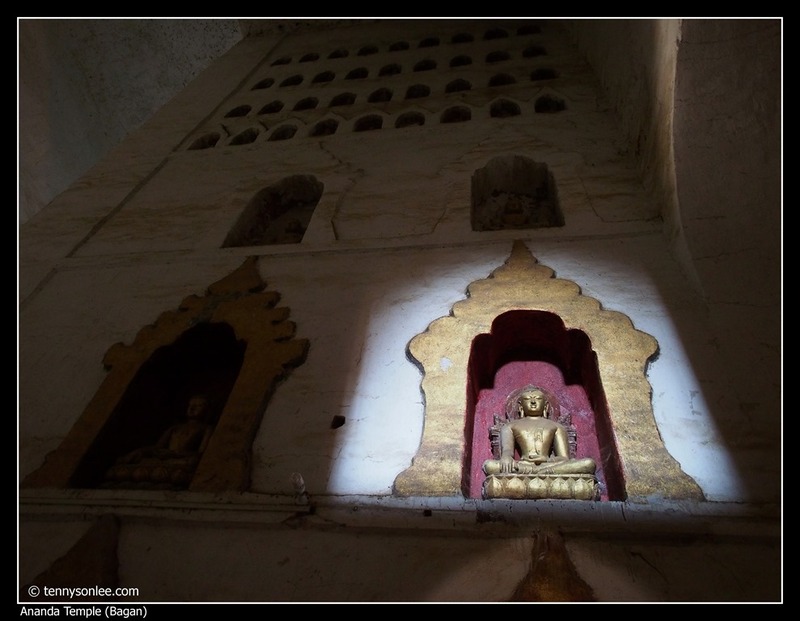 We visited Bagan in winter season and yet the temperature soared above 37 Celsius. The weather gets hotter in the summer time (near 40C). 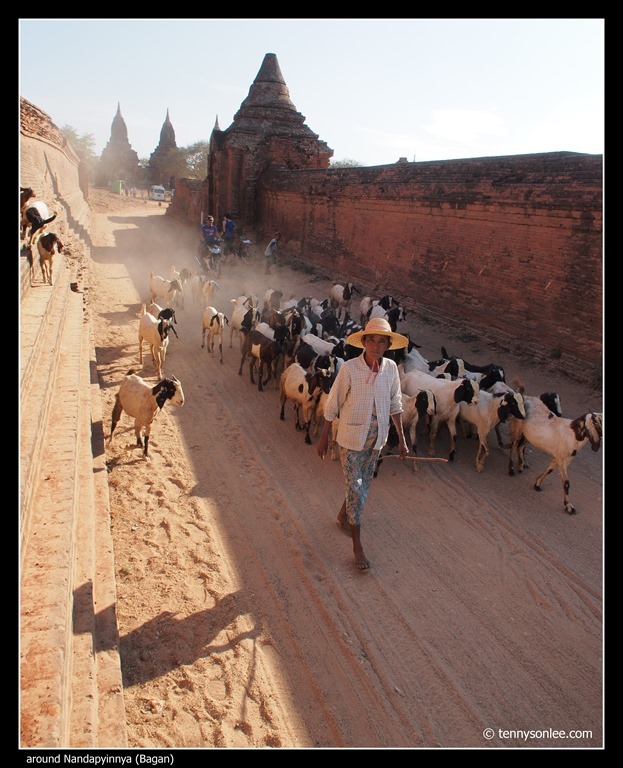 Since Bagan is a UNESCO World Heritage site, the archaeological zone cannot build any modern infrastructure such as tar/asphalt road. So the roads are primarily dirt road, and prepare yourself for the dust. Sun screen lotion, wide brim hat, light colour breathable (cotton is the best) clothing are essential. Avoid cycling or walking during high noon. Most tourists would spend long lunch or swimming in the hotel pool to cool down. 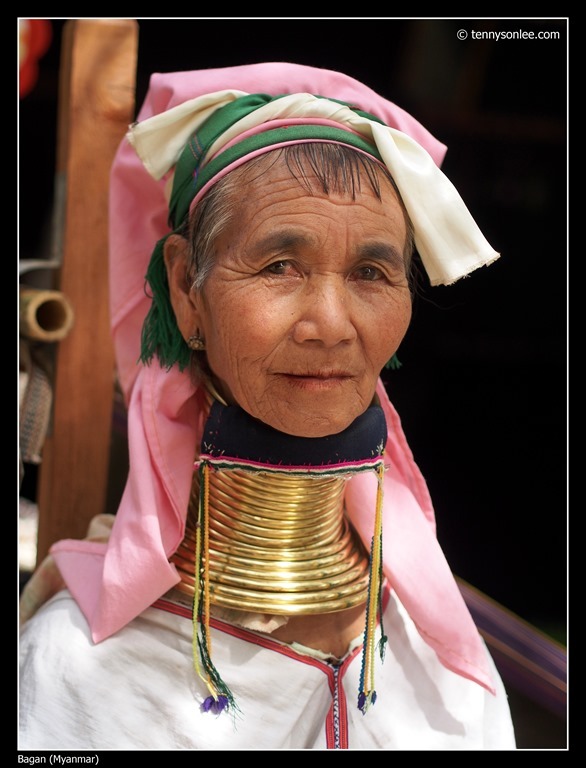 I find a large bottle of Myanmar Beer goes well with my afternoon rest. Pronouced as Nanda-pyin-nya, the small temple has murals wall paintings but photography is prohibited. The location is out of the normal temples, so the site has fewer tourists. The highlight of my visit to this temple was the goat herding. 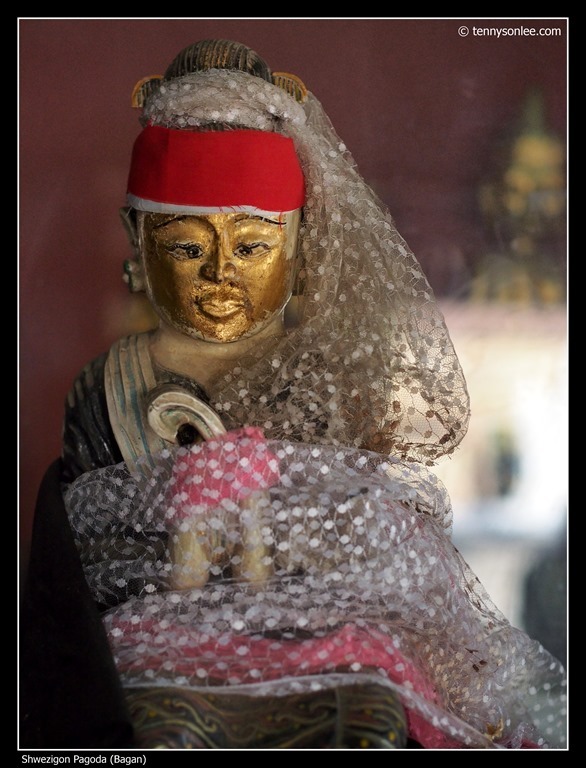 I walked to nearby ‘deserted’ temples alone, and have all the temples to myself. I never seen so many temples in 2-day period. 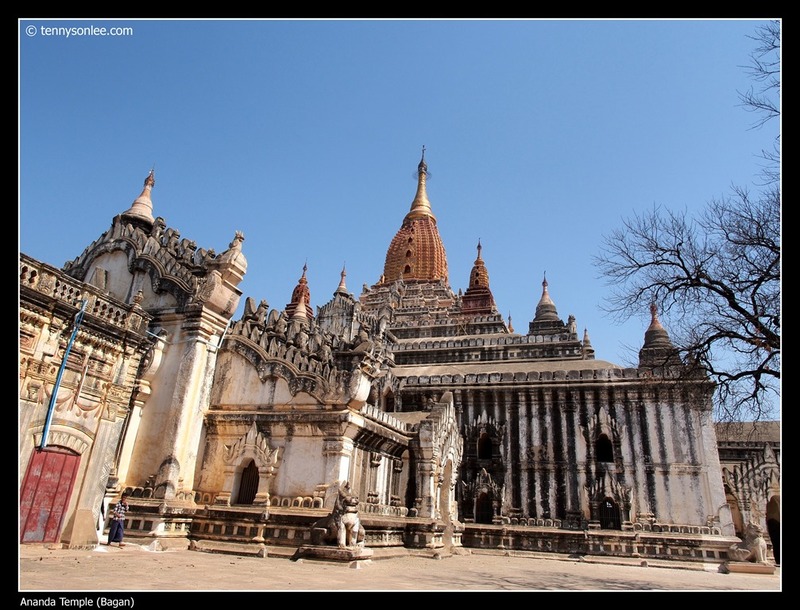 There are more than 2,000 pagodas still standing in the plain of Bagan, and we only have time to visit the selected few. 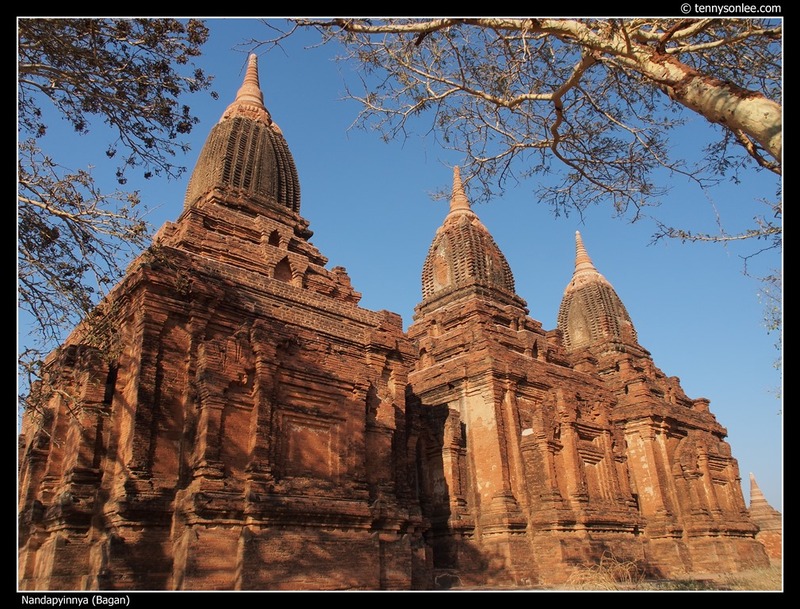 Lonely Planet has entire Chapter dedicated to the temples in Bagan. What LP guide book often lacks is pictures. I prefer pictorial guide book such as DK series but DK has very limited publications on less popular destinations. One of the popular temple due to its massive scale, with 170 feet high hti. See the size of a local walking in the lower left of the photo. 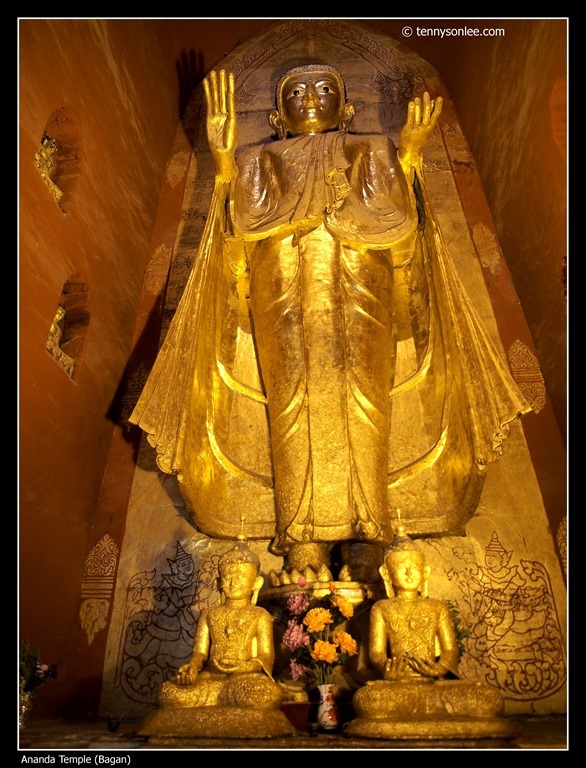 The 4 standing teak wood Buddhas in the center hall are impressive, and each have different hand postures. 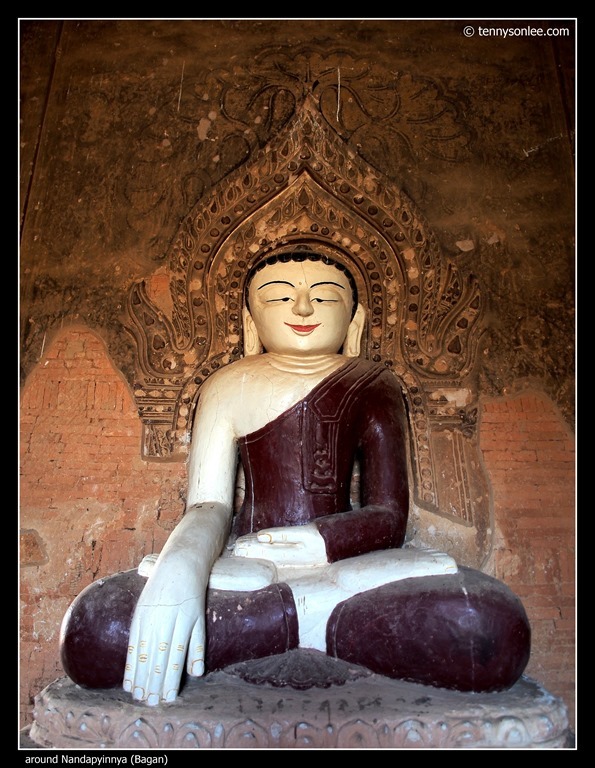 The surrounding hall ways have hundreds if not thousands of Buddha images. Natural light was cleverly harnessed to illuminate the larger statues. 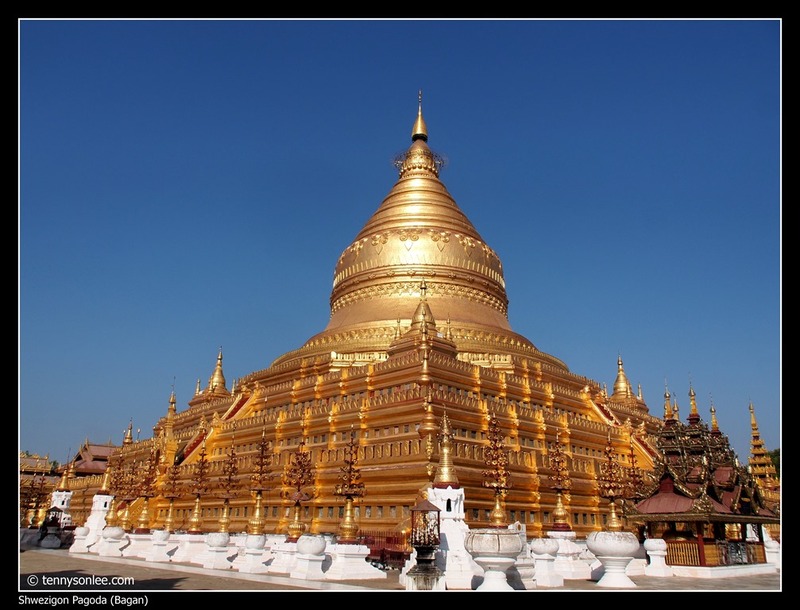 If Yangon has the Shwedagon Pagoda, Nyaung-U (Bagan area) has the similarly impressive Shwezigon Pagoda. 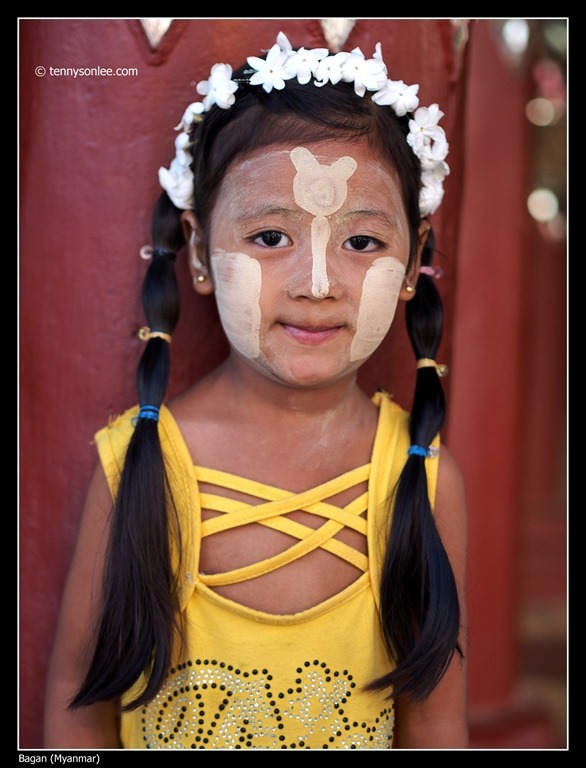 Before the adoption of Buddhism, Burmeses worship spirits called nats (they continue the worshiping today in many temples). 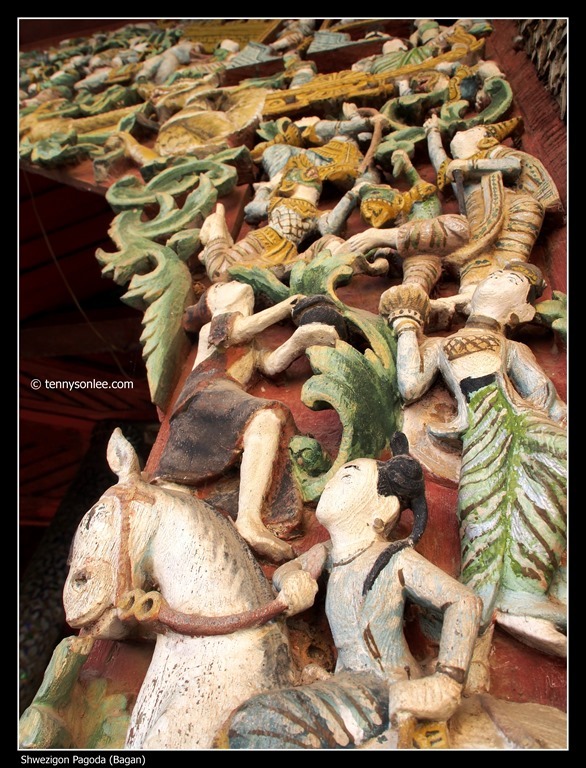 A clockwise tour in the temple compound reveals many more interesting sights and artefacts. 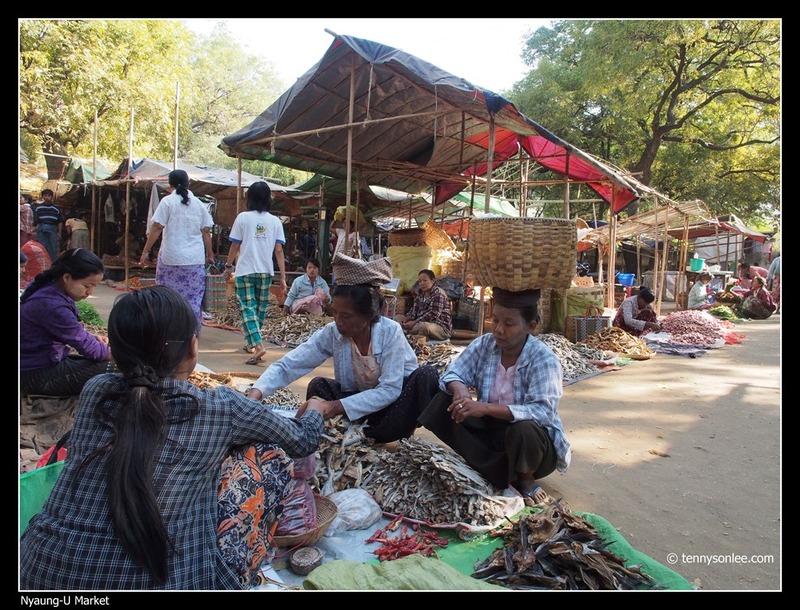 The morning market in Nyaung-U is an oasis to some tourists who need time out from the endless temple-hopping in Bagan. 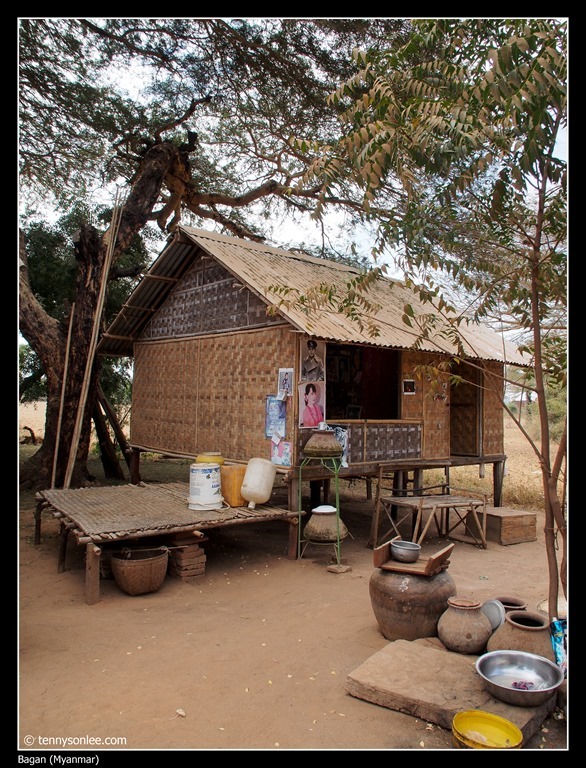 Bagan situates in the dry area of Myanmar. So all the leafy vegetables are grown in the river bank or remote villages. 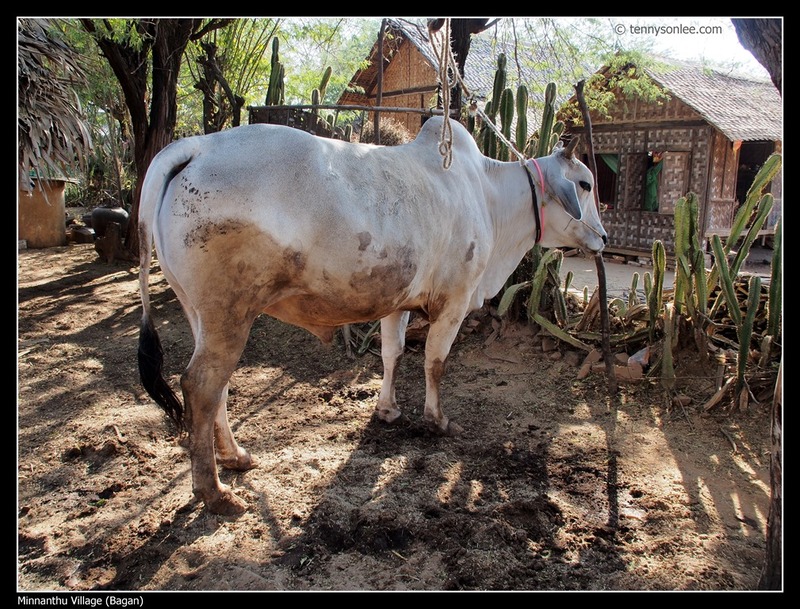 In the past, the farmers have to wake carry the crops on their back and shoulder, walk 20 miles to the market to sell their produces. 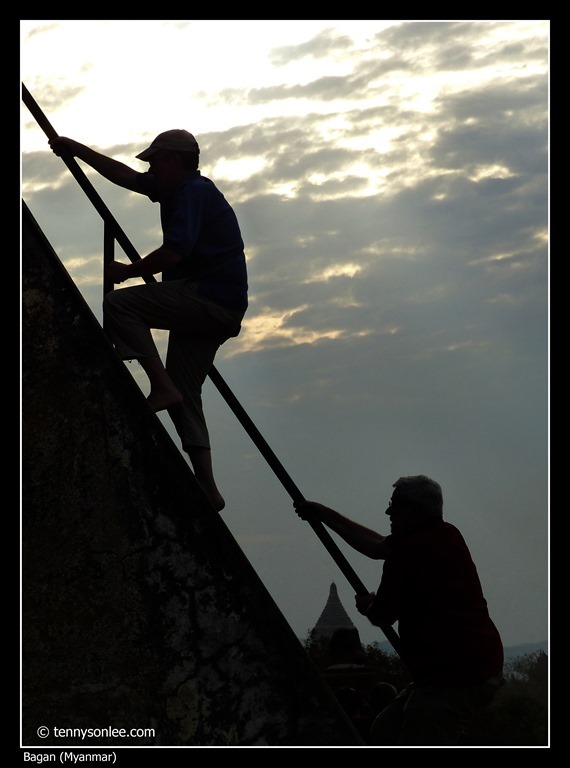 After the sales, they walk home and prepare dinner, and start over again on the next day. Now with the transportation truck, the farmers can share and ride on motor vehicles that safe them lots of effort. 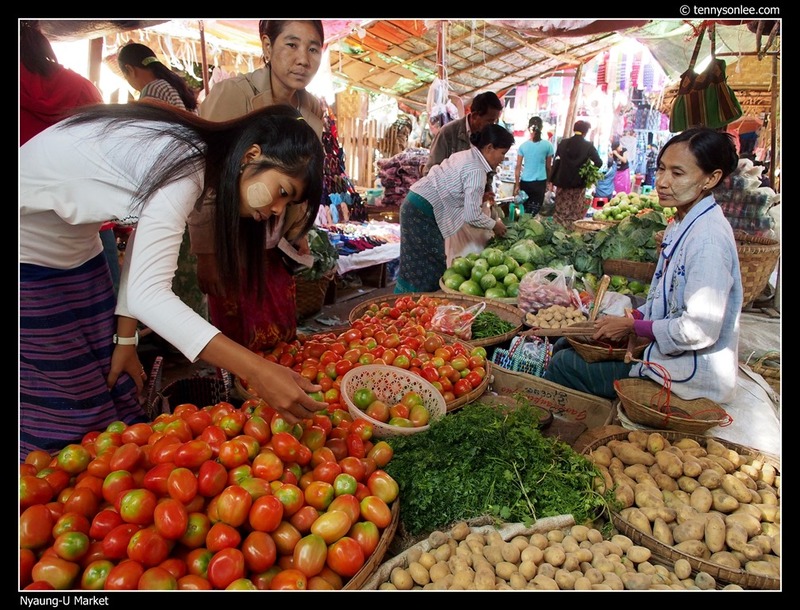 The morning market is more interesting than Bogyoke Aung San Market in Yangon.